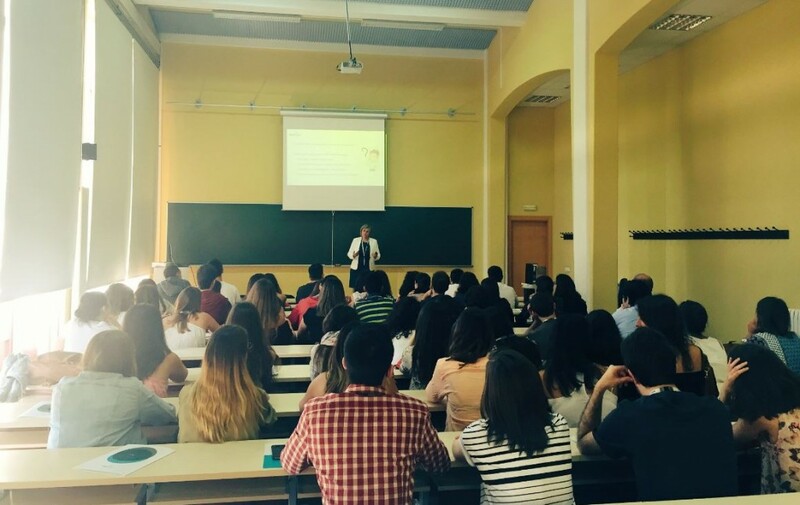 On 13 July, the director of the mAbxience plant in León, Luisa Amoedo, led a Biomentoring session as part of the Annual Congress of Biotech¬nology (BAC), one of the sector’s biggest events in Spain, organised by the Spanish Federation of Biotechnologists (FEBiotec), held this year at the University of Gijón. In her presentation, entitled “Biotechnology: why and how to achieve it?”, Luisa explained the different possible career paths to students, stressing the importance of staying motivated and of always looking forward, before presenting the company and its commitment to improving patient accessibility to biological medici¬nal products through the development of biosimilars. This is a further example of mAbxience approaching future talent.